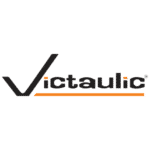 Victaulic, the world’s leading manufacturer of mechanical pipe-joining systems, has introduced a line of stainless steel Advanced Groove System (AGS) fittings, allowing customers to create complete large-diameter grooved mechanical piping systems in stainless steel. 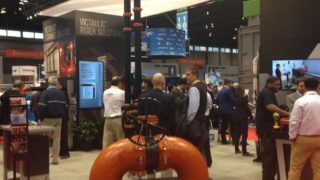 As a component of the Victaulic Advanced Groove System, the fittings offer exceptional assembly speed and performance. Featuring Victaulic AGS grooved ends, AGS stainless steel fittings are available in 90- and 45-degree elbows, tees, reducers, adapters and caps. The fittings are joined to AGS-grooved pipe, valves and accessories with the Victaulic Style W89 AGS coupling. 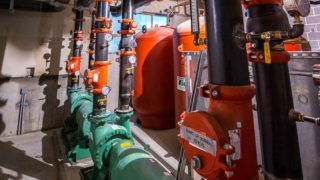 The Victaulic Advanced Groove System delivers fast, reliable piping system installation. The wedge-shaped AGS groove facilitates proper coupling positioning and provides increased coupling-to-pipe engagement. The two-piece design of the coupling housing enables quick joint completion. AGS-joined pipe handles higher end loads and a higher pressure rating—up to 350 psi (2,410 kPa)—with a nominal three-to-one safety factor. AGS stainless steel fittings are available in 14- to 24-inch (350 to 600 millimeter) sizes and are fabricated from Type 304/316 stainless steel. The Schedule 10S fittings conform to the pressure ratings of Victaulic Style W89 AGS couplings, and support hanger spacing corresponds to ASME B31.1 Power Piping Code and ASME B31.9 Building Services Piping Code.